UNITED NATIONS, October 21 -- A day after Gaddafi's death, Russia made a proposal in the Security Council to end NATO's mandate and the no fly zone. Asked for a copy of the proposal, Russian Ambassador Churkin told the press that it is "short and sweet, like all Russian texts." 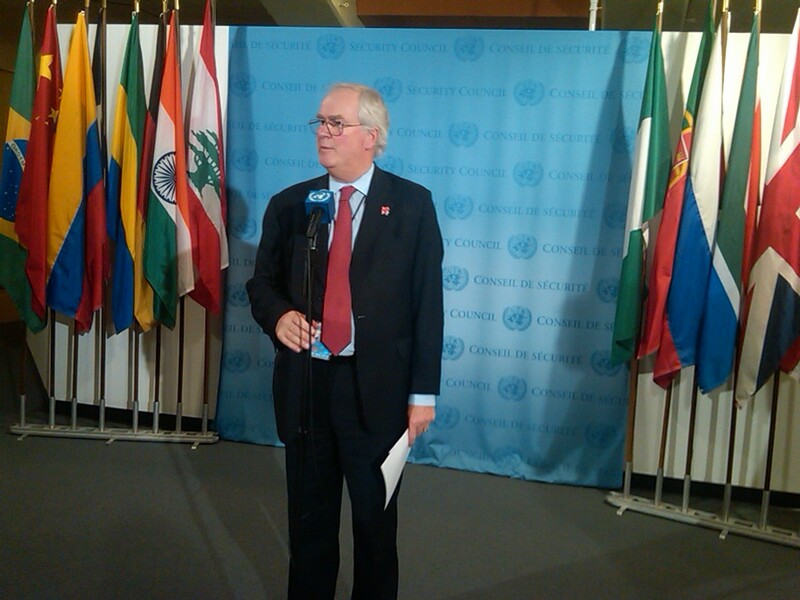 UK Permanent Representative Mark Lyall Grant, when he emerged, said that things are not that simple. He said Churkin acknowledged not having spoken with the Libyans, and said the UK had. He said for example that NATO has been running air traffic control and would have to hand this over in a controlled way to the Libyans to avoid chaos. Inner City Press asked Lyall Grant if this can be done in 10 days, aiming at the European stated October 31 deadline. Lyall Grant said he thought so. French Permanent Representative Gerard Araud called Russia's proposal "too simple." Since the meeting took place past 7 pm due to an election upstairs in the General Assembly which France had tried to stop due to the absence of translation after 6, Inner City Press asked Araud if despite the French threat not to participate he had in fact voted. Araud refused to comment on it. In the rounds of voting before 6 pm, all 193 UN members participated; after 6, only 191. Did France in fact drop out? Is this question "too simple"? Watch this site.